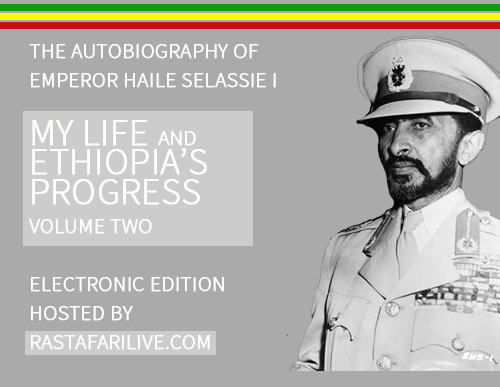 First, I must inform you that Qidamawi Haile Selassie’s name is not Haile Selassie I or Selassie I, or Haile Selassie The First. 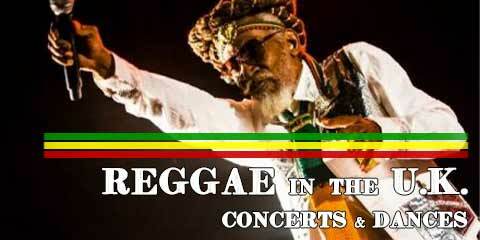 The correct and only name is Qidamawi Haile Selassie. 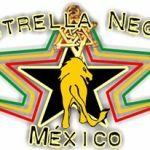 In due respect to all the Ras Tafari Brothers and Sisters choice of calling his name, there is enough proof to explain that this is not an opinion, but a fact. For example, when we count our numbers, we do not count from 2,3,4 then 1. 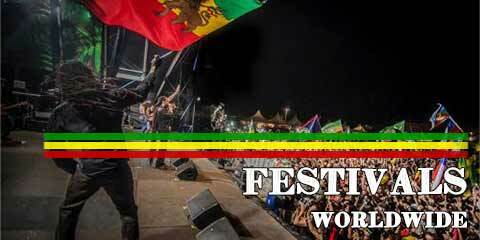 The number 1 comes FIRST not occasionally but every time regardless if it is counting in numbers in rank as related to His Imperial Majesty Qidamawi Haile Selassie. 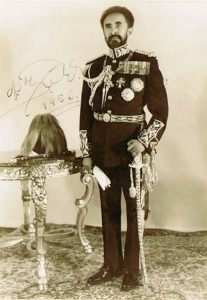 The “I” which most Ras Tafari Brothers and Sisters say at the end of Qidamawi Haile Selassie’s name represents the number one or first. 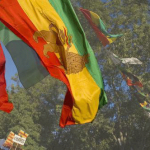 We must place the “I” in front of his name giving His Imperial Majesty the correct ranking from an Ethiopic status. In further proving this fact kindly observe the word IHS in your Webster’s New World College Dictionary 4th ed. You will see that this is the official Latin abbreviation for Iesus Christos (Jesus Christ). Hence the Letter “I” meaning “First” when we Ethiopic/Egyptic Brothers and Sisters translate this. 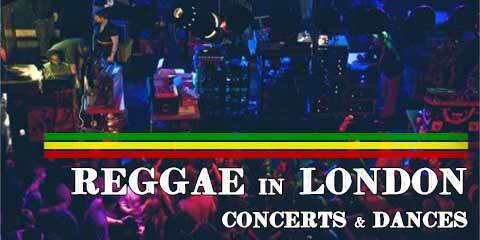 In actuality, the abbreviation IHS in your Webster’s dictionary ultimately means I Haile Selassie. So all Ras’ should either say I Haile Selassie, or Qidamawi Haile Selassie. 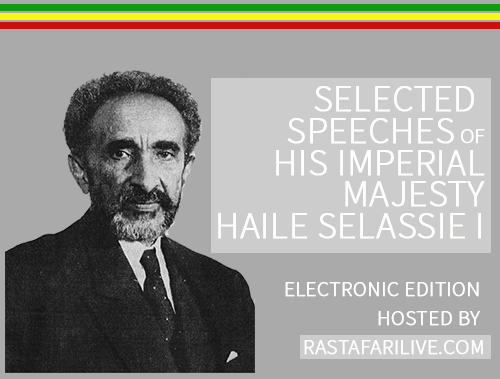 Remember, there is no logical reason for ANY Ras Tafari Brother or Sister to say Haile Selassie I, addressing the “I” at the end of His Imperial Majesty’s name. 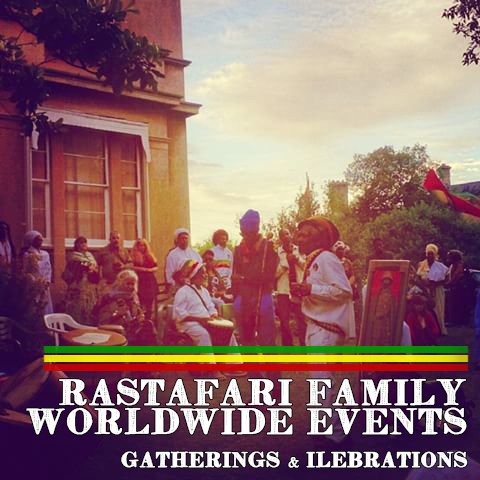 It is true that ALL Ras Tafari individuals say and add the letter “I” in front of most words giving it a more uplifting vibe to it. For example, we say “Give Isis(Iesis)” and “Everything is Ilah” and “We are all I-N-I” and finally “Beautiful Itrate of His Imperial Majesty”. If we Mystical individuals can place the Mighty letter I in front of all uplifting words, why can’t we place the I in front of the very individual who we observe as our savior? 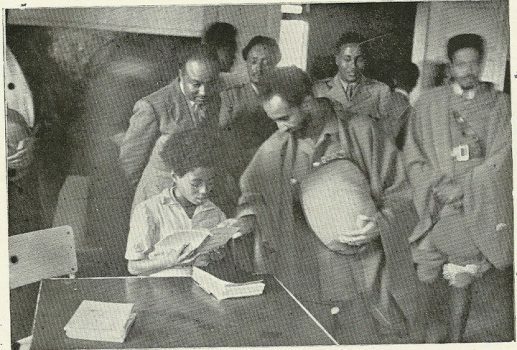 If you look in the Concise Amharic Dictionary By Wolf Leslau, you will see that the Amharic translation for the word “First (in a title of a king)” is Qidamawi. There is a linguistic methodology called apheresis, which is the removal of one or more letters at the “Beginning” of a word. Now, if we use apheresis for the first three letters in the Amharic word Qidamawi, we will have Adamawi. Next, if we use the Linguistic Methodology apocope; which is the removal of one or more letters an the “end” of a word, we can change the word Adamawi to Adam. It is a fact that “Adam” is the First human being mentioned in the Bible. These fact were explained to show and prove that Qidamawi must be said when we address His Imperial Majesty. 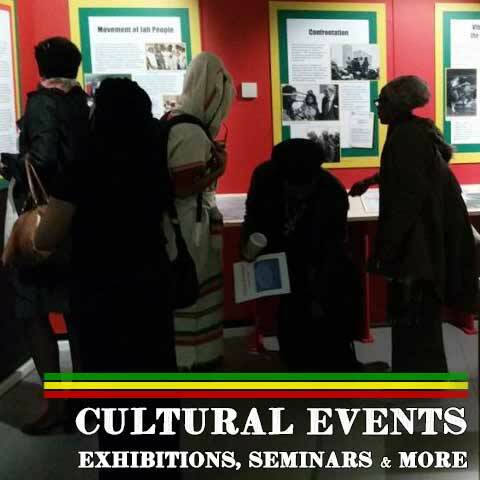 Haile is an Amharic word which is translated into three separate English words. These words are Might, Strength and Power. The Best definition to define Haile would be Might. In proving this, we must forward to the Webster’s New World College Dictionary 4th Edition for the words Might and Power. Upon finding these words you will see that Might is defined as “Strength to ANY degree”. ANY is replying to an unlimited amount of strength. Next, Power is defined as “great ability to do….vigor;force;strength”. The fact that Webster’s used the word “great” to define Power indicates that Power is limited. 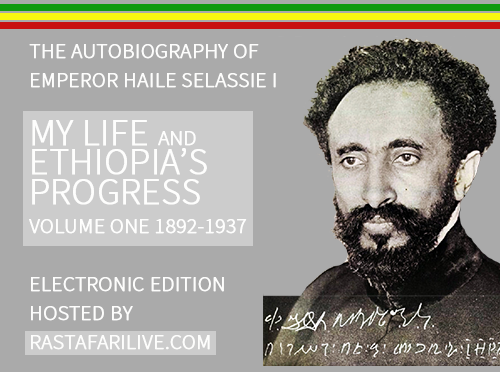 Selassie is an Amharic word which is translated into English as “Holy Trinity”. 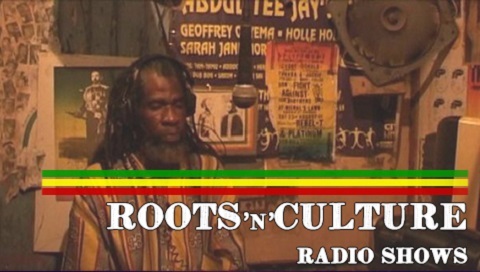 Some Ras Tafari individuals define Selassie as Trinity (alone), when in fact they should say Holy Trinity. If one says Trinity alone, though they are not aware, they are referring to the Roman Catholic Church which is run by The Pope and other Secret Societies. If one says Holy Trinity, then they are speaking of and ancient Ethiopic Orthodox Church order. In full, the correct Amharic order of His Imperial Majesty’s name is Qidamawi Haile Selassie. The English translation for this would be The First Might of The Holy Trinity. 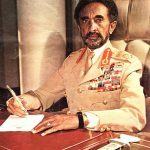 I I Qidamawi Haile Selassie Shields and Leads! Once again, when we count, we do not count from 2,3,4, then 1. The number 1 comes first not only in counting but also in “Ranking”. To say “first” in Amharic is Qidamawi. This will be prove with the document below. Below, you will see the Amharic translation for the English word First. I scanned this from The Concise Amharic Dictionary by Wolf Leslau, pg 347. The word First (in a title of a King) is Qadamawi (however, here in NYC we spell it Qidamawi for the “I” focus). Observe the Amharic “Q” which looks like a vertical line and a circle on top. 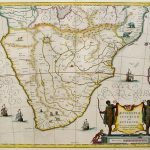 This can be seen in His Imperial Majesty’s signature. The first Amharic letters seen next to the Englsih spelled Qidamawi appears as a vertical line (I) combined with two small circles on top (oo). After observing this definition below, you will see this same letter in the signature of Qidamawi Haile Selase’s speech. If Qidamawi Haile Selase addresses and signs his name as Qidamawi Haile Selase; then it is correct for all of us to do so as well. If I may guide you to these two documents below (left & centre). 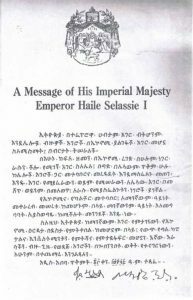 The document with the Imperial Seal is of course a written speech of His Imperial Majesty Qidamawi Haile Selase. Toward the bottom you will see Qidamawi Haile Selase’s signature in Amharic. The first letter which looks like a vertical line with two circles on top is the Amharic letter “Q”. The “Q” is an abbreviation for the word Qidamawi. Take notice that the “Q” for Qidamawi precedes the rest of the Amharic letters which translates to ….Haile Selase Negusa Negast(Emperor). This is proven by the second document which is the English translation with the “I” at the end instead of the beginning where most Ras’s would have, could have and should have place it. 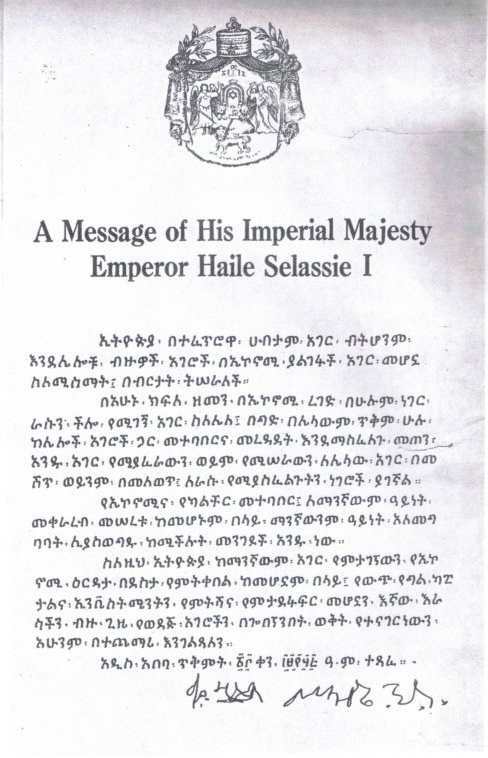 However, it is NOT a Ras Tafari individual who placed the “I” at the end of His Imperial Majesty’s name; it was a Caucasian who not only lacks the knowledge of Ethiopia but lacks the ultimate Raspect for Qidamawi Haile Selase. 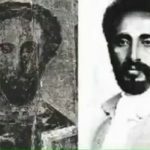 This next form of proof (above right) is an actual Itrate of His Imperial Majesty Qidamawi Haile Selase with his signature seen above the Lion’s Crown and Scepter. The Amharic “Q” as in Qidamawi is signed here in the “Beginning” of the signature.